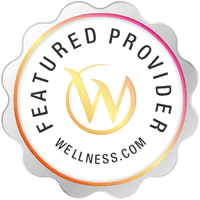 A Chiropractor specializes in treating musculoskeletal injuries and conditions, focusing on restoring the health of the spine and its surrounding structures naturally. After an automobile accident, many individuals experience soft-tissue injures. Some common soft-tissue injuries include whiplash, neck pain, back pain, muscle soreness or tightness. Rehabilitation after any type of accident causing damage and/or injury to the body is essential for the individual to record the incident in order for the insurance company to follow through with the proper compensation. Individuals who never visit a healthcare professional for their injuries can often have a difficult time dealing with their personal injury claim as its necessary to prove there was an injury after an auto accident or any other type of accident. In the case an individual suffers a visible wound, such as a bone fracture or a head injury, as a result of a car crash, the specialists in the emergency room are trained to properly treat these types of injuries but, soft-tissue injuries can be difficult to detect using an X-ray. Therefore, it’s crucial to follow up with a chiropractor or physical therapist to diagnose any possible underlying injuries or conditions which may have resulted from the incident and continue with rehabilitation treatment as soon as possible. The main goal of rehabilitation is to reduce and/or eliminate the painful symptoms caused by an injury or condition after an accident, ultimately helping restore the individual’s mobility and function. With proper documentation of all medical procedures received, a personal injury claim can be pursued accordingly with the insurance company. There are numerous rehabilitation procedures which can be used to treat whiplash, neck pain and back pain, among other types of injuries and conditions resulting from an auto accident, including chiropractic care and physical therapy, although these aren’t limited to only treating symptoms caused by an auto collision. Whiplash, neck pain and back pain can also occur as a result of an accident during an athletic sport or from any physical activity. Regardless of the cause of the injury, rehabilitation procedures can be very similar in nature, especially when treating neck injuries and symptoms. Due to an excess of weight or force, a prolonged exposure to specific positions and postures, whiplash and external forces, such as vibrations and G force, athletes can also have just as high a risk of experiencing neck injuries as victims of an automobile accident. Regardless, rehabilitation procedures can be applied to all neck dysfunctions, from acute injuries to simply increasing the peak performance of an athlete or individual. As with all injury management processes, it’s essential to understand the type of injury the individual has suffered and which type of rehabilitation plan would be most appropriate to their specific grade of injury, by both the individual and high performance team or coach, if any. The rehabilitation process can be divided into four stages: early management, initial rehabilitation, rehabilitation progression and return to performance. The first stage of rehabilitation, early management, should be started immediately after the athlete or individual has experienced any mild to severe cervical or head injuries and they’ve been properly diagnosed by a qualified healthcare professional. The key goals in this phase of rehabilitation following a neck injury include, reducing the pain, muscle spasms and other painful symptoms as well as restoring the body’s original range of motion. While high quality evidence on the correct management of acute cervical pain is lacking, evidence supports utilizing a combination of therapeutic treatments, such as chiropractic adjustments, massage, electrical stimulation, heat for temporal relief, range of motion exercises and occasional analgesics through the recommendation of a healthcare professional. The individual should also receive postural education to ensure there aren’t any compensatory dysfunctions throughout their body, most commonly among the shoulder and/or the thoracic and lumbar spine, as a result of the injury. In the early management stage, the initial treatment should be carried out with the neck in a neutral alignment and with the head in a position of eliminated gravity to reduce any nerve root, disc or facet joint irritation as well as limit the involvement of overactive muscles. Gentle, range of motion exercises can have great analgesic benefits and should be practiced as soon as possible to make sure there’s no aggressive stretching as a result of a muscle spasm, which can ultimately reduce the stability of the neck. Studies have indicated that among individuals with neck pain, the fundamental stabilizers surrounding the cervical spine are inhibited, therefore, these must first be retrained before proceeding with further rehabilitation procedures. Deep neck flexor training programs can begin immediately and utilizes a pressure cuff to work through progressive pressure increases and holds. Once the individual or athlete can achieve this, avoiding compensation strategies, the routine should be performed independently and constantly throughout the day and can then be progressed to more challenging positions involving increased weight and force. After reducing the acute symptoms of neck pain, restoring the mobility and function of the cervical spine and its surrounding structures are necessary before the individual or athlete can return to their specific sport or daily lifestyle. If one can activate and maintain deep neck flexors, the athlete or individual can continue to the next stage: initial rehabilitation. 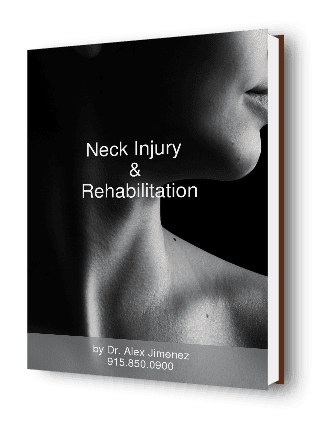 This stage of rehabilitation, the initial rehabilitation, is important towards building the strength of the neck without exposing the muscles to any unnecessary, excessive forces. Monitoring and screening should be utilized where available to further assist the programming. Full range of motion and strengthening exercises should continue throughout this stage. Most commonly, when managing joint injuries, isometric strengthening can be recommended but is often overlooked following many types of neck injuries. Generally, these will begin in a neutral, gravity-eliminated position and then progresses to standing followed by sport-specific or daily, challenging positions. For example, in the winter sliding sport Skeleton, the athlete needs to maintain a certain neck position in relation to the sled. Also, motorcyclists must maintain a specific neck position while on a bike, requiring their balance to be challenged alongside strengthening. Additionally, it’s essential to consider introducing helmets or headgear at this stage of rehabilitation. Initial rehabilitation strength training should begin at a medium volume with low intensity before being gradually increased in terms of repetition, length of contraction and sets. Throughout this stage, athletes and individuals should be monitored for any symptoms, including neck pain and loss of their restored range of motion and flexibility. During an assessment, particular considerations should be made to stabilize the torso and minimize lower extremity involvement in order to ensure a proper strengthening of the neck. During this stage of rehabilitation, rehabilitation progression, when a full range of motion has been achieved in the neck, the focus should then progress to eccentric and concentric neck strengthening exercises. This is frequently an area which is characterized as a weakness through screening and can therefore be utilized for performance development as well as a return from injury. The individual’s background should be carefully considered before establishing the correct programming. For instance, rugby players often have significantly more exposure to neck strength training as compared to a young gymnast returning from injury. Strengthening exercises and therapies within this stage should have a higher volume with medium intensity and these should be carried out using manual or dynamometry resistance. Cable machines, such as those found in a gym, may lead to overload but these can be utilized as a progression. The principles of overload should be maintained with neck strengthening and gradual improvements can be expected to occur progressively rather than in sudden spikes in training. This is considerably important when understanding the anatomy and the need for stability across many important joints surround the cervical spine. Once a base strength has been regained, neck training can begin. With contact sports, tackle bags can be used to replicate controlled contact. Divers can also return to low board dives and drivers can follow simulation work. If athletes and individuals are exposed to external forces, such as G force and vibration, this may also be replicated as rehabilitation and injury prevention. If the individual continues to experience no symptoms, their strength can be compared to baseline measures, they have no change in the function of other structures of the body, and they’ve participated in controlled, normal training situations, including additional external forces, then the individual can continue to the next stage of rehabilitation: return to performance. The final stage of the rehabilitation process for neck injuries, return to performance, combines the strength training the individual or athlete has been previously practicing but, with an emphasis on the restoration of specific abilities required for them to return to their specific sport or daily lifestyle, along with allowing them to regain confidence while having specific forces being applied against their cervical spine. Integrating unexpected strengthening loads may be important at this stage of the rehabilitation process. A previous study indicated that training focusing on the initial activation of the muscles surrounding the cervical spine can support the structures against impacts to decrease neck and head injuries caused by automobile accidents and sports alike. This training mode is frequently practiced in rugby prior to going into a contested situation, prior to heading into a football match and also when tumbling in gymnastics. By incorporating training approaches, such as isometric, isokinetic strengthening, exposure to vibration and impacts in and out of specific sports activities, individuals have a higher chance of adapting neural elements resulting in optimal motor skills, muscular control and coordination. The return to performance stage of rehabilitation can be utilized with any injury, including automobile accident injuries. The general programming should be focused on the athlete or individual while involving the entire team or group, if any. The individual should be physically and psychologically ready to return to their daily lifestyles or specific sport with all strength, skill and confidence issues taken care of to properly reduce their chance of further injury and increase the individual’s performance on return. Depending on the severity of the injury, sport and position the athlete or individual is returning to, the return to performance protocols may vary greatly from one another. The correct timing of post-injury neck training should be carefully considered when programming as part of a strengthening regime. Neck strengthening is known to cause fatigue and strength can be initially reduced for up to a day. For this reason, heavy neck strengthening training exercises and therapies followed by the return to performance stage of rehabilitation protocol should be avoided to reduce the chance of further injury. Furthermore, individuals involved in sports with heavier schedules and less recovery days should consider focusing on heavier neck strengthening in pre or mid-season breaks to properly benefit from these stages of rehabilitation. This should also be essential when evaluating the athlete under different levels of tiredness to ensure they are strong enough to withstand the forces they are exposed to while competing. In conclusion, all neck injuries, whether they’re caused as a result of an automobile accident or due to a sports related injury, should be diagnosed and treated immediately in order to prevent further injury. Rehabilitation should progress from regaining the individual’s range of motion and flexibility as well as strengthening the neck and its surrounding structures, to sports specific training. A Chiropractor El Paso also specializes on restoring the individual’s original condition before a neck injury by carefully adjusting the spine, primarily the cervical spine in this case, helping to restore mobility and flexibility as well as decrease the irritation and swelling which could be causing the painful symptoms. Overall health is important, and after being involved in an automobile accident or suffering a sport related injury, getting a proper diagnosis and following through with rehabilitation can help ensure the athlete or individual heals as quickly as possible.